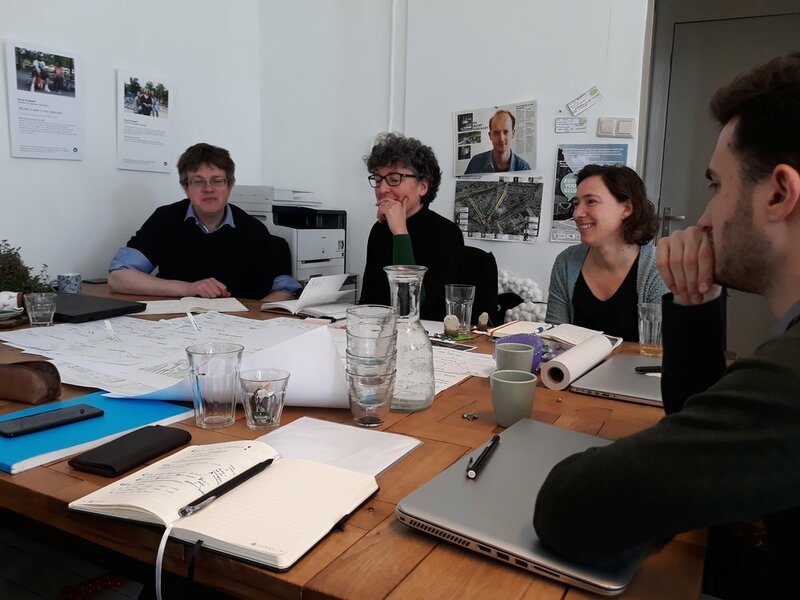 how to transform the deprived Bospolder-Tussendijken area in Rotterdam into a Next Generation and Zero-Energy Neighborhood? P·A is part of the coalition 'BoTu Next' together with Over Morgen, Urhahn and Inicio. The coalition studies how to transform the deprived Bospolder-Tussendijk (BoTu) area in the commission of the International Architecture Biennale (IABR) and a local alliance of Housing Corporation Havensteder, Delfshaven Coöperatie and the Department for Social Development of the Municipality of Rotterdam. BoTu faces major social challenges. Many residents are poor and unemployment rates are sky high. At the same time, there is the challenge to translate the ambitions formulated in the Paris Agreement to tailored solutions for BoTu. We will investigate how to use the energy transition as a lever to achieve social, spatial and inclusive change rather than seeing the energy transition as a purely technical exercise. The results are translated into an enterprise plan for the neighborhood combined with a concrete roadmap and financial elaborations on both physical and social themes. The plan will be displayed via maps, images and videos in a digital format, so it will be practical, accessible and attractive to a broad public. Next to this directly actionable result, we will contribute to the IABR 2018 in June. 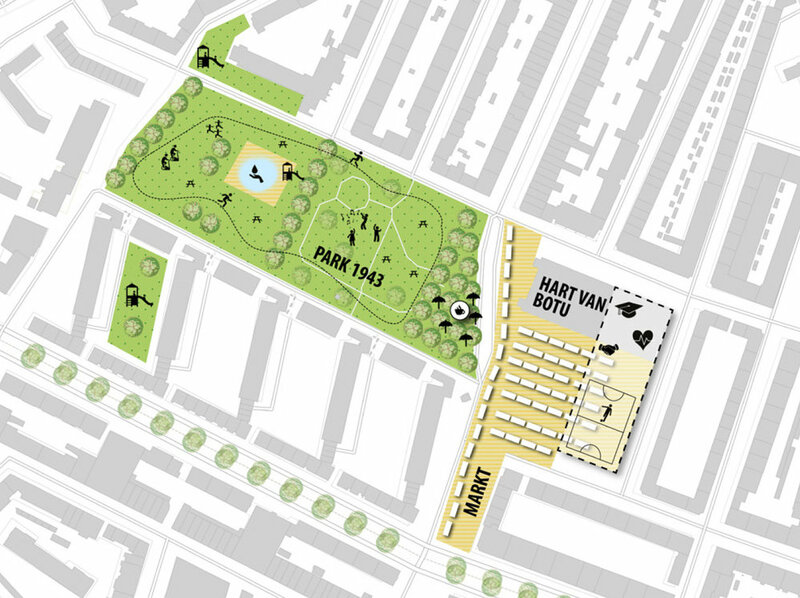 BoTu Next is one of the three Rotterdam Ateliers operating in the MH4+ area. The 2018 IABR is a working biennale aimed to identify 'Missing Links' between the world-wide ambitions formulated in the Paris Agreement and local needs and possibilities. Our contribution will be part of ongoing efforts towards the next IABR in 2020. During the research we also exchange ideas with the other Rotterdam Ateliers and share our lessons learned." a fantastic way to collaborate! "We will combine our expertise in the fields of architecture, transformation and design research with the expertise of our coalition partners: energy, mobility, finance, participation and urban development and societal issue, to come up with integral solutions. During the project, we will organize multiple pop-up studios and ateliers where the doors are open for local stakeholders to come in and be part of the project. 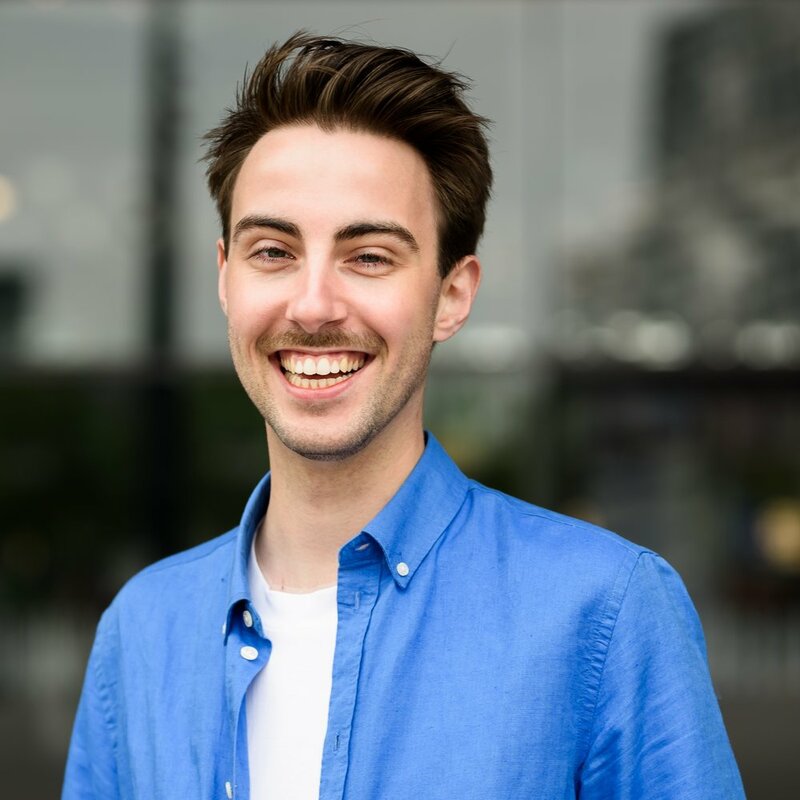 Throughout, the IABR and local alliance also take on an active role. To me as researcher, it is very exciting to be part of such a knowledgeable team and help build this living lab in BoTu!" We have selected two case areas in the BoTu: Schans/Watergeus and Hart van BoTu. We apply a different strategy to each case: 'urban acupuncture' for Schans/Watergeus and 'bundled large-scale interventions' for Hart van BoTu. With urban acupuncture, small-scale interventions at building level and in the public space, we can increase the quality of life in Schans/Watergeus. Energy and climate adaptive measures in this area are tailor-made: at the building level and in the public space through own initiative. Around the Visserijplein and Park 1943, known as Hart van BoTu, a number of problems come together. This area was bombarded in 1943 by mistake, something which is still visible today. This area requires bigger interventions: the challenge is to bundle the interests of the stakeholders and residents.